Rozmarin is a company specialized in immigration consulting services in Canada. Their promise is a unique approach of the clientele by personalized services based on each client’s cultural background and immigration needs. A warm and friendly approach to each client to meet their immigration needs. Deep understanding of the client’s needs. Positive attitude, caring for people. Customer benefits: freedom, life changing opportunities, building dreams, bring people together, reunite families. If you can make a difference in somebody’s life, then do it with soul and care. Rozmarin is the last name of the company owner and it means “Rosemary“. 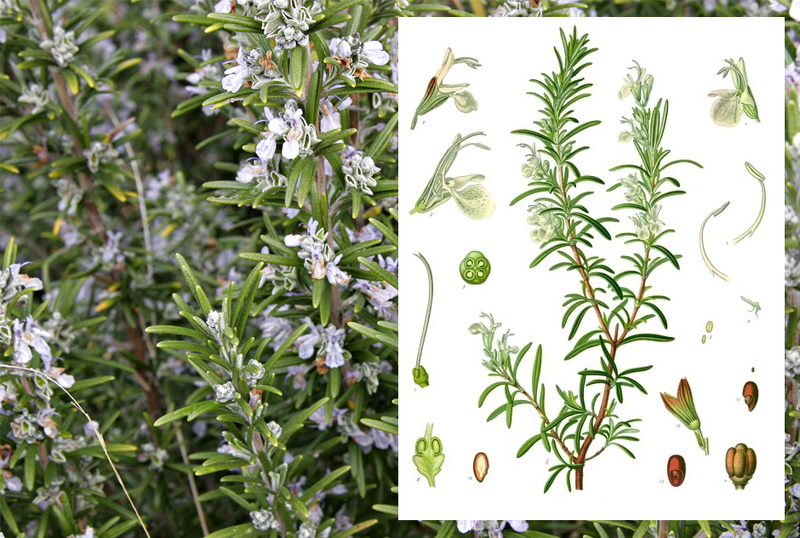 The rosemary is an aromatic evergreen plant used as a flavoring in foods and it can withstand droughts, surviving a severe lack of water for lengthy periods. The flowers are white, pink, purple or deep blue. Well, I think we had a strong starting point and a visual direction, so we analyzed the possibility of creating a representation of the plant, integrated into the Rozmarin name. Wikipedia is always helpful when it comes to initial research. The typeface needed to be friendly (but not playful) and in the same time a bit serious. In terms of color, green and purple seemed the obvious choices. Looking at these logos, we realized that the plant approach may not convey the desired message. A new idea was beginning to emerge in our minds, based on “bringing people together“, “soul and care” and “positive attitude“. The “m” from Rozmarin seemed like a very good letter to work with, because of its resemblance with a heart. Maybe we could create some heart-people related logomark? After all, this was all about working with people, not plants, so let’s try it! We felt that we were on a good path, but something was still missing, so we tried to combine the heart and the people. After a few more hours of work, we were satisfied with the results and it was about time to show something to the client. 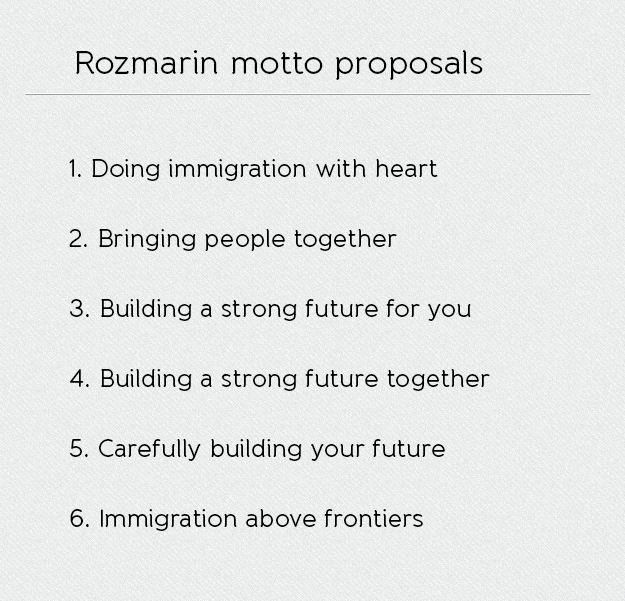 This is what we first presented to Rozmarin: two main proposals and a few iterations for each. As we expected, we had a very strong positive feedback towards the people-heart version. Of course, we now needed to tweak it a bit more and and add some color to it. “Doing immigration with heart” fitted perfectly this concept so it remained the final company motto. The main “battle” was won and we now needed to create business cards and letterheads. This seemed more like a formality, but we had a fair share of iterations and client interactions. 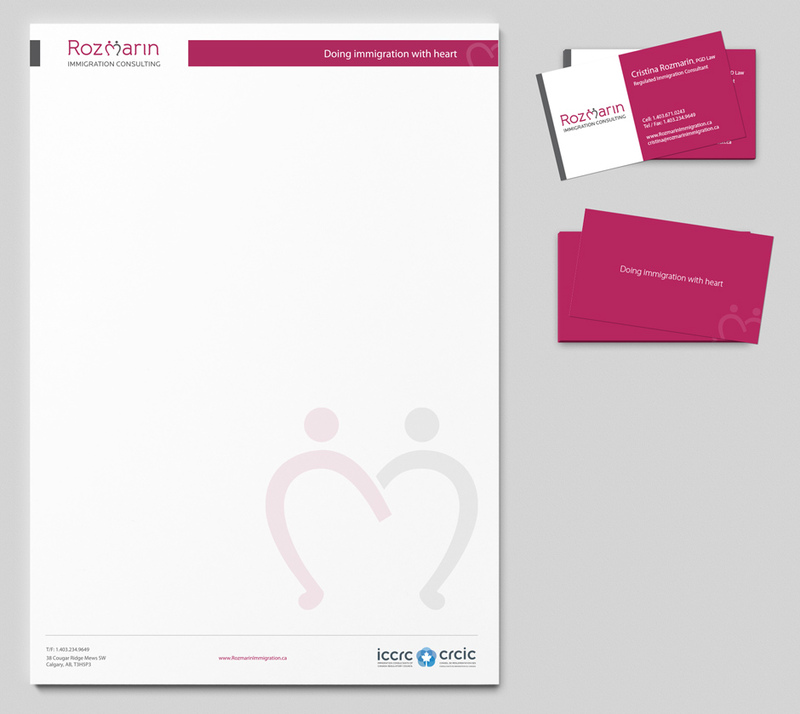 Thank you Rozmarin for the wonderful collaboration and for giving us the opportunity to create this unique brand identity we are proud of!